Ensembl 65 has been released! We are happy to announce the latest Ensembl release 65 (e!65). We have a new species; the Atlantic cod (Gadus morhua) assembly was provided by the Cod genome consortium, and the Ensembl gene set was determined using a combination of annotation approaches. The standard genebuild procedure was combined with whole-genome alignment and projection from stickleback. The final gene set, now displayed on the main Ensembl website, comprises 20,095 protein-coding genes, 518 pseudogenes, and 1,541 non-coding RNA genes. 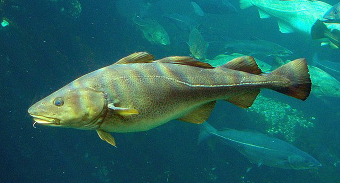 Comparative analyses were run using the new species, incorporating the cod into pairwise alignments. 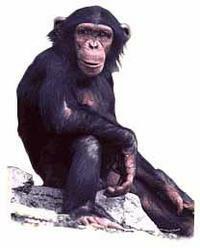 Version 2.1.4 of the Chimpanzee (Pan troglodytes) genome assembly now replaces 2.1 on the Ensembl web site. This new gene build was a ‘projection build’, that is, we aligned Human GRCh37 to the new chimp assembly and then projected the Ensembl gene models we had in human onto chimp. This was augmented with traditional gene build pipelines which aligned chimp proteins from RefSeq and UniProt to provide evidence for the gene models. More details are provided in the Genebuild summary document. The final data set includes 18746 protein-coding genes. The Bushbaby (Otolemur garnettii) gene annotation in e!65 is based on the newest high coverage assembly OtoGar3 provided by the Broad Institute. The Ensembl Variation set for Human has been updated to dbSNP 134 and now includes over 40 million variants. In addition, we’ve updated the somatic variants from COSMIC (release 55), phenotype data and the structural variation data as usual. We have added a protein display to the LRG pages (more about the LRG project). Also, check out our new landing page; icons (see image, above right) help you to navigate our variation views! A new regulatory build for mouse (8 new data sets). Updated micro array mapping for human, chimp and zebrafish. Genome segmentation tracks (more on this in an upcoming blog post). The Experiment view aims to provide links to the source data used in the Ensembl regulatory build. Each supporting evidence peak in the regulation displays now has a ‘Source’ label in the on click pop up menu. Clicking this will link to the Experiment view which will list the details of the source used to generate the peak. Enjoy exploring our new data updates!